Bangladesher Samyabadi Dal General Secretary Dilip Barua has blamed immediate past industries minister and Awami League leader Amir Hossain Amu for the devastating fire incident at Chawkbazar in the capital. 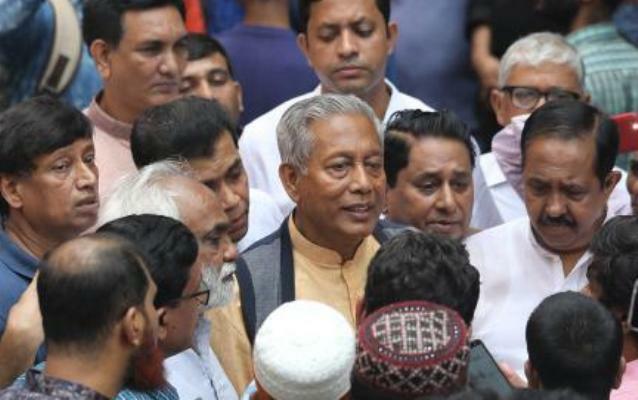 Barua, also a former industries minister, came up with the remarks on Saturday after visiting the Chawkbazar area with a delegation from the Awami League’s 14 Party Alliance. “If the industries minister (Amu) had seriously taken up the matter of relocating chemical warehouses and factories from the area then it would have been easier to remove them from Old Dhaka,”Barua said. At least 78 people lost their lives after a massive blaze broke out at the Churihatta intersection in Chawkbazar on Wednesday night.